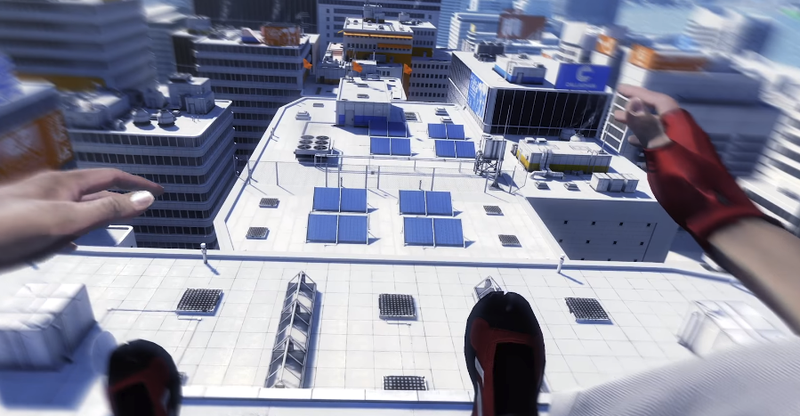 Mirror’s Edge took people by surprise when it released back in 2008. The first-person parkour game was transportive, making you feel the air rush past you as you bolted across rooftops. It’s also one of the games that you can upscale to 4K on the Xbox One X. Almost a decade later, not only play Mirror’s Edge on a current console, you can experience a better version of it. The Xbox One X doesn’t just have enhancements for Xbox One games. A ton of backwards compatible Xbox 360 games also see improvements on the new console. While the Xbox One X is an impressive if not particularly essential console, the way it gives a digital face-lift to games that came out a decade ago is one of its more appealing features. In the latest Digital Foundry video, Richard Leadbetter explains why the console goes beyond the normal sort of emulation we’ve come to expect with past backwards compatibility features. “Microsoft has a full emulation layer for Xbox One that makes it believe it’s an Xbox 360,” says Leadbetter in the video. But with the Xbox One X, select backwards compatible games get an extra set of steps during that emulation. While the actual code for games like Mirror’s Edge and Assassin’s Creed remains unchanged, things like render targets and surfaces are swapped out during emulation with higher resolution versions of those assets. “Each game gets tuned at the emulator level,” Leadbetter says, making the game experience feel somewhat “crafted” despite being automated. The Xbox One X’s GPU doesn’t just add more pixels, it also adds more detail overall. I recommend watching the video for a more technical breakdown of what’s going on, but the zoomed in comparisons are impressive. Some Xbox 360 games, though they are playable on Xbox One, don’t perform as well as you’d expect. When it first became available through the backwards availability program, Halo Reach was one prevalent example of a game that could see its frame rate drop in half while being played on the newer system. But as Digital Foundry points out, Microsoft has worked on refining their testing processes to fix these issues and keep other games from performing in a similar sub-optimal state. Even while some speculate that most people don’t care about backwards compatibility, those arguments haven’t stopped Microsoft from continuing to invest a great deal in making it better. This is an example of Assassin’s Creed as rendered first on Xbox 360 and then on Xbox One X. Textures are crisper, shadows remain better defined even at long distances, and the overall amount of fog and blur you’re likely to experience when returning to those games on the old platform is simply wiped away. PC gamers are used to this type of after-the-fact optimization, especially as people release mods and other third-party additions. But with consoles it’s not conventionally been an option. If you want to visually improved version of an old game, you have to wait for the publisher to go in and tweak it themselves and then port it. The way HD and 4K versions of older Star Ocean games have been popping up on PS4 are a good example of this. You can see Digital Foundry test various Xbox 360 games that have enhanced backwards compatibility with the Xbox One X and judge for yourself. The results aren’t always mind-blowing, but they’re still noticeable. In addition to Mirror’s Edge, the current list includes Gears of War 3, Fallout 3, Assassin’s Creed, Skate 3, Oblivion, and Halo 3. As time goes on though, Microsoft told Digital Foundry it’s working with publishers to try and unlock better visual performance in ways that don’t hurt frame rate or the creators’ artistic vision (not every game automatically looks better just by being scaled up). In addition, the process is a big drain on the console’s resources, so if it’s not coordinated for each specific game, players could see clumsy dips in performance like they originally did with Halo Reach. More importantly, it’s heartening to see at least one console manufacturer not just embracing traditional backwards compatibility but actually trying to improve the technology behind it.